Graphic illustrations that bring the art of the automobile to life. 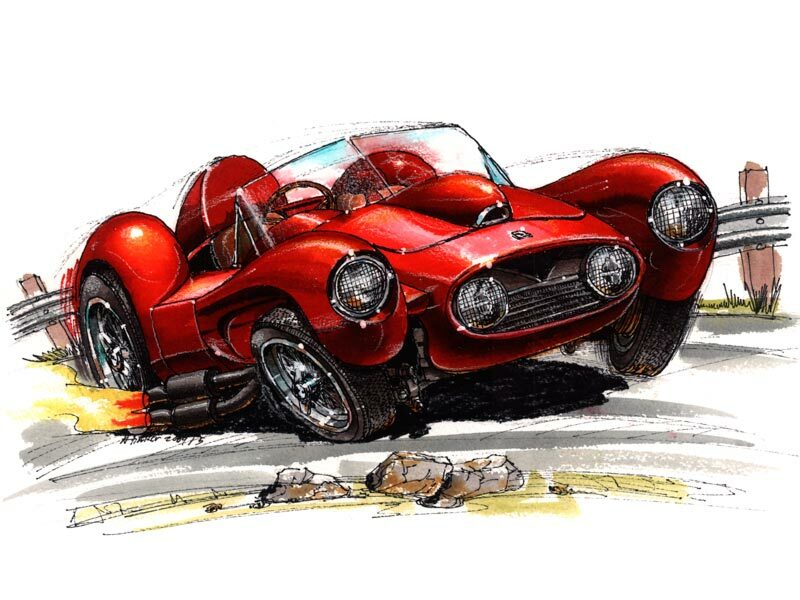 Our prints make ideal gifts for the automobile art enthusiast, car nostagia fanatics, or anyone who can appreciate the beauty of a well desiged machine. From muscle car art to motorcycles, and American classic cars our images are available for purchase as prints, original paintings, and t-shirt prints.